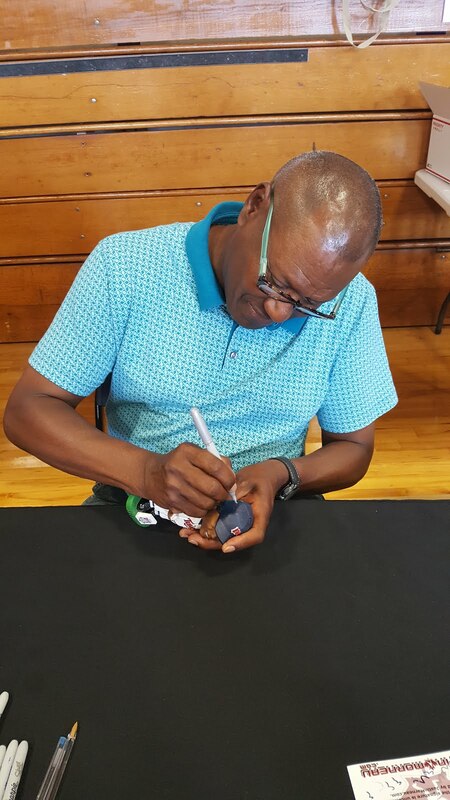 Updates on my Sports Memorabilia collecting hobby, including through the mail autograph successes and in person autograph signings. Feel free to email me with questions: droidtrader@gmail.com. Here's a picture of the Les Straker bobblehead I got signed today. He seemed surprised to see the bobblehead. I'm guessing he hasn't signed a lot of these. 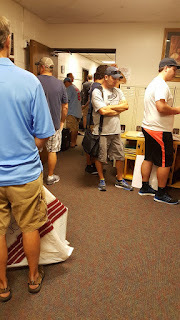 Even though I was way back in line, I ended up getting to go to the front of the line since I was just getting one item signed. There was a small card show. I piked up a Sports Illustrated from 1976 with Reggie Jackson on the cover for $2, as well as a few 1954 Topps for $2 each. I also picked up a 1987 Topps set for a friend for $5. 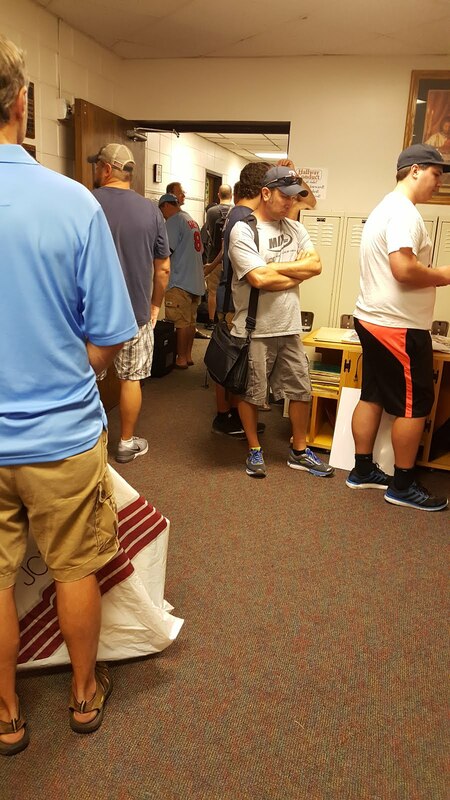 They claim everyone will get through in an hour, but one - third through the event and the line hasn't moved. It seems a little chaotic, but it should start soon. There are over 20 people signing so it will bee interesting to see how this goes. 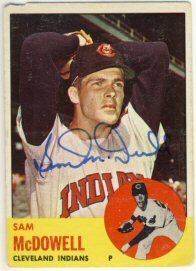 It's been very slow for TTM requests for me. I haven't sent any and I haven't received any. 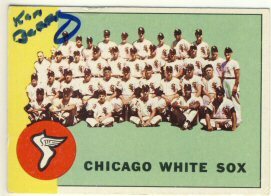 I did recently purchase a couple 1963 Topps from Ebay including Sam McDowell and Ken Berry on the White Sox team card. 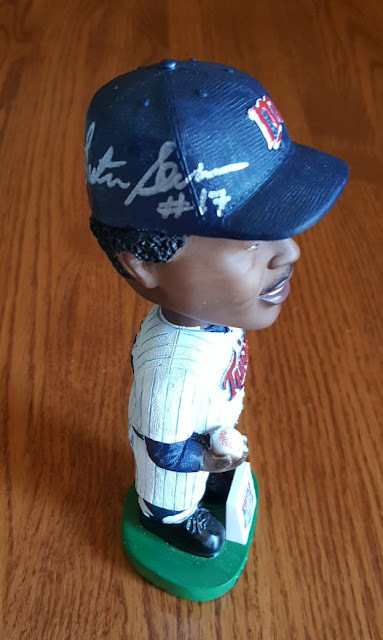 I'm going to a 1987 Twins signing on Saturday to get Les Straker on his 1987 World Series Bobblehead. After I get that one signed, I just have Don Baylor to get complete the set (Puckett and Niekro passed away before the set was released). 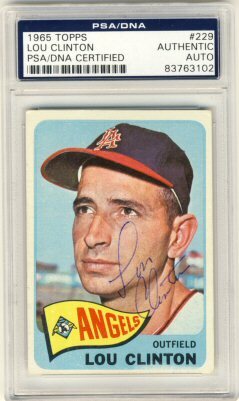 I looked at how I'm doing against my goals for the year and noticed I hadn't added a single 1965 Topps to my set yet this year. My goal was to add five more. I looked around on Ebay and found a nice Lou Clinton card signed and PSA authenticated. I have quite a ways to go on my goals. I'll post an update in a while.